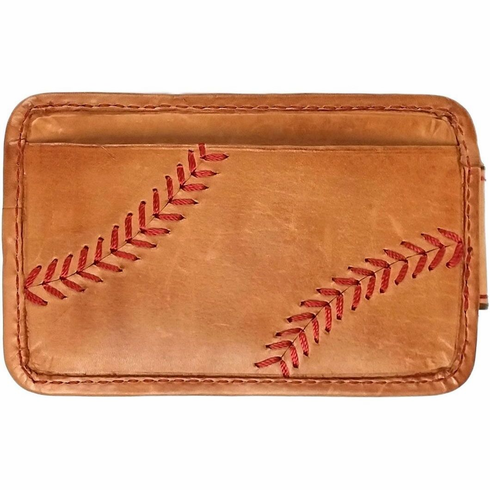 Vintage Leather Baseball Stitch Front Pocket Wallet with Magnetic Money Clip by Rawlings. Hand rubbed burnished calfskin leather. Decorative Baseball Stitch on exterior. 2 credit card slots, 1 slide pocket, red lining, magnetic money clip. Measures appx. 2.62" x 4" x .38".